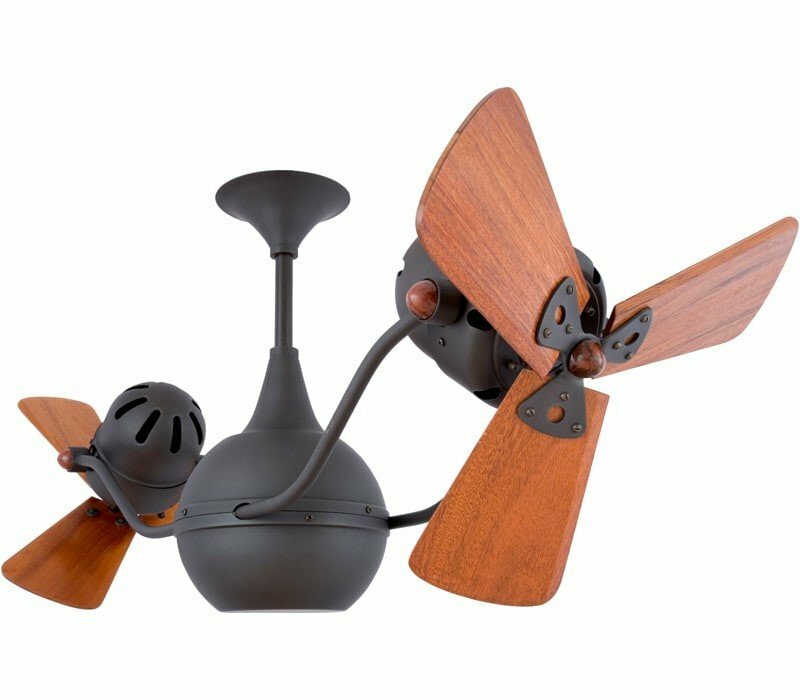 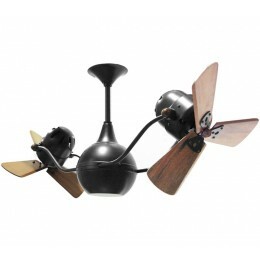 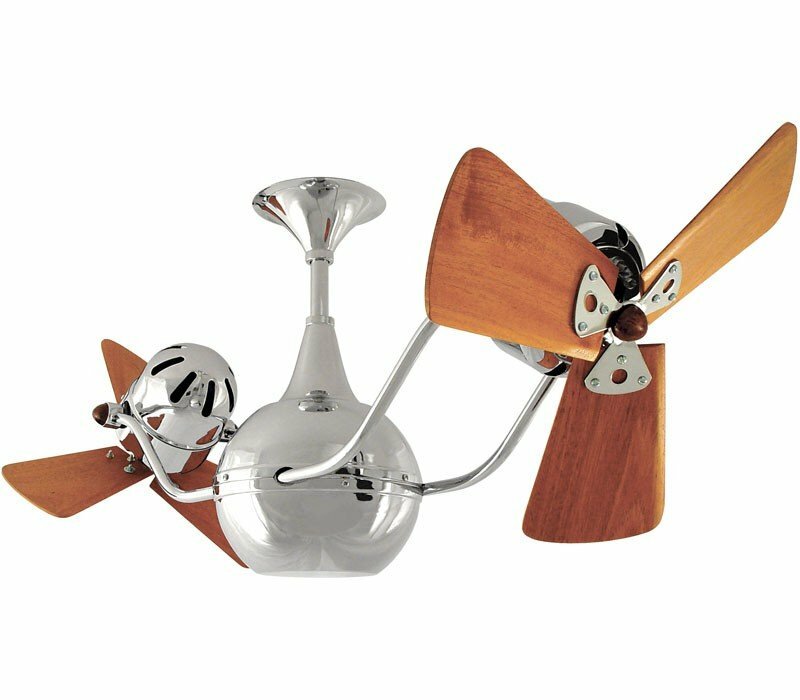 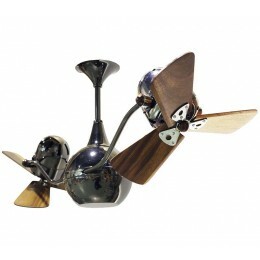 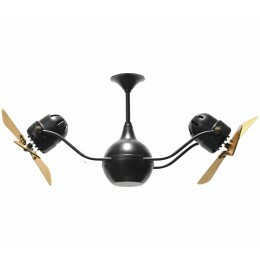 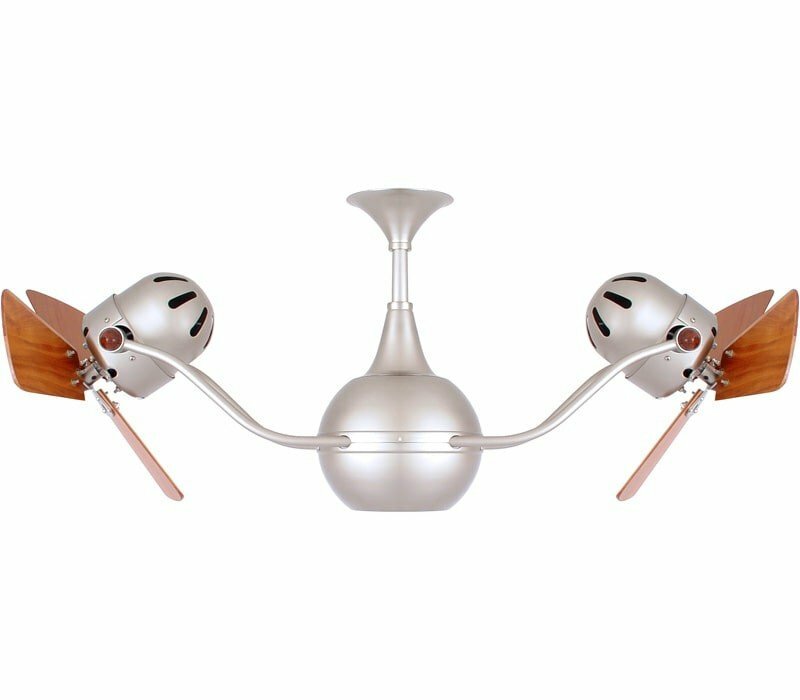 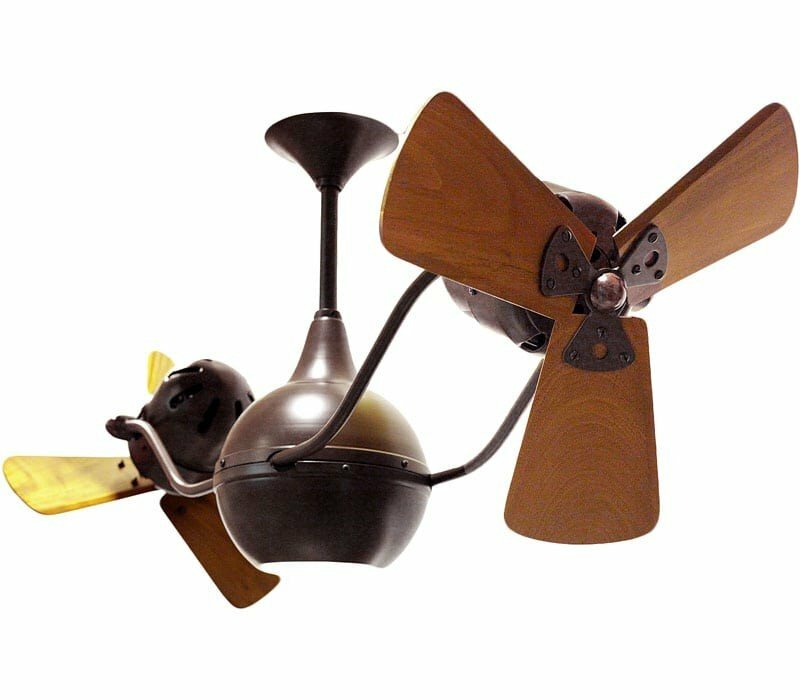 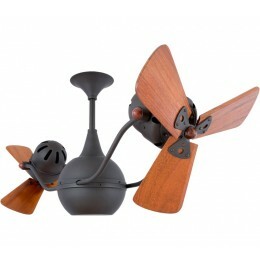 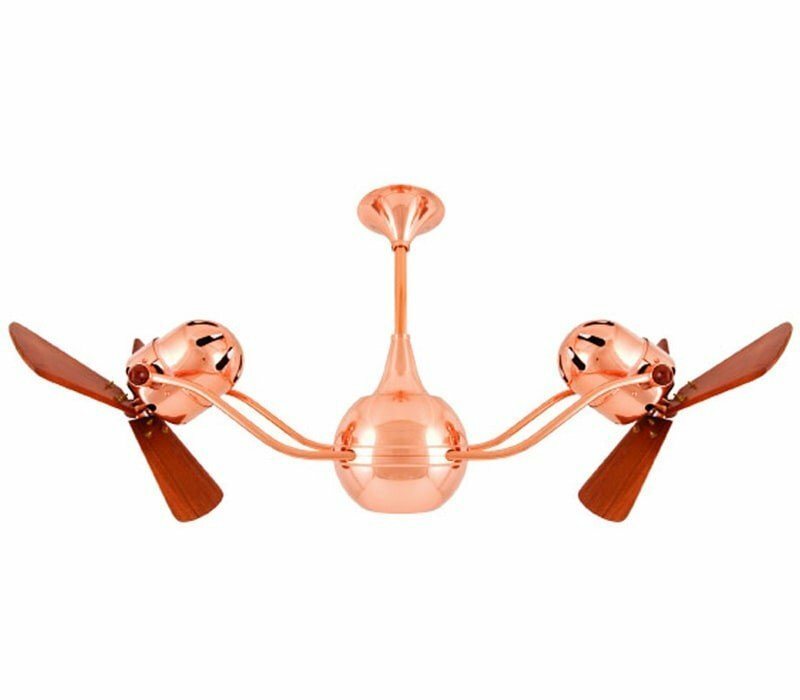 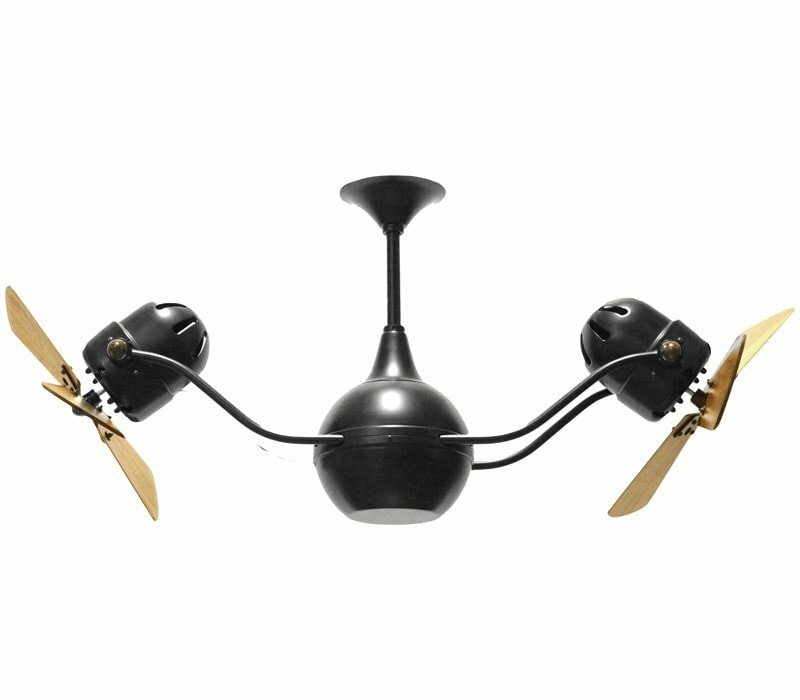 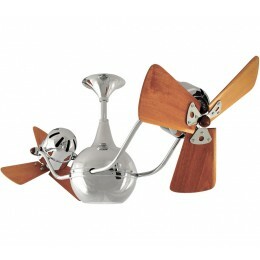 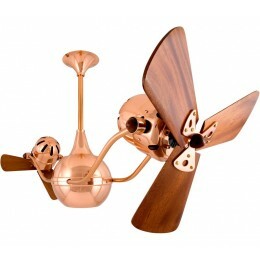 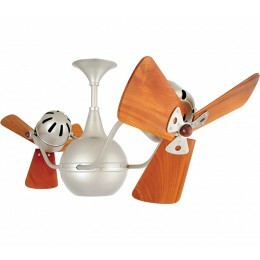 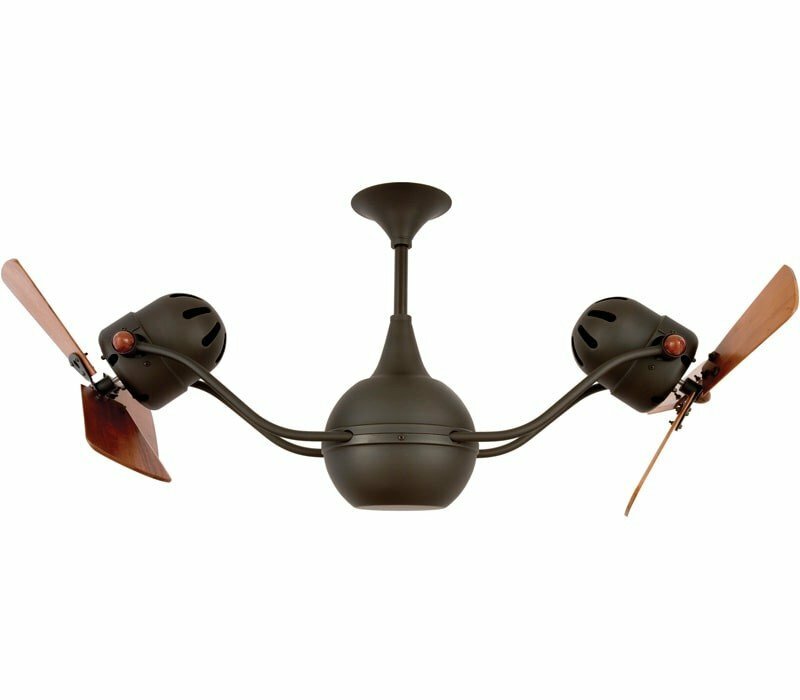 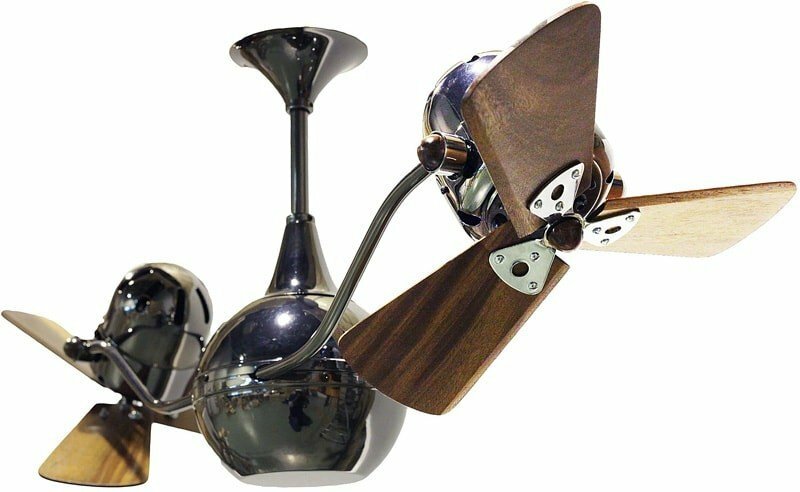 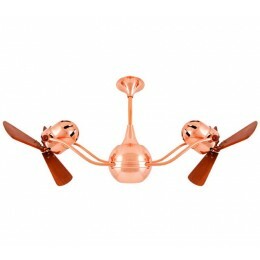 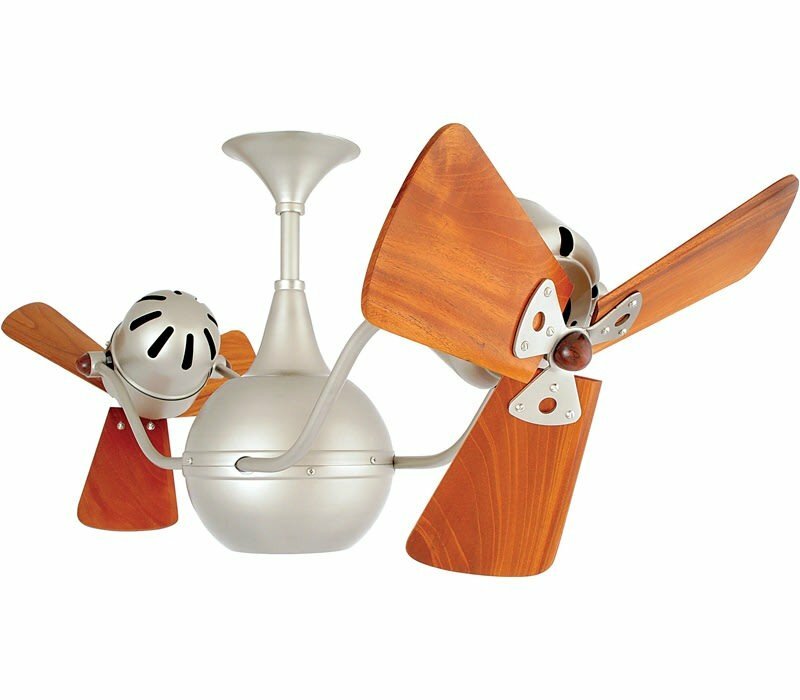 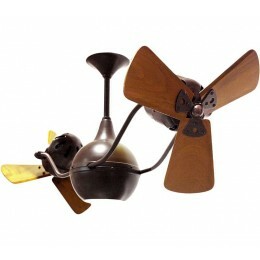 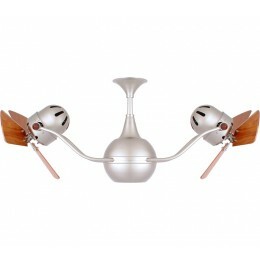 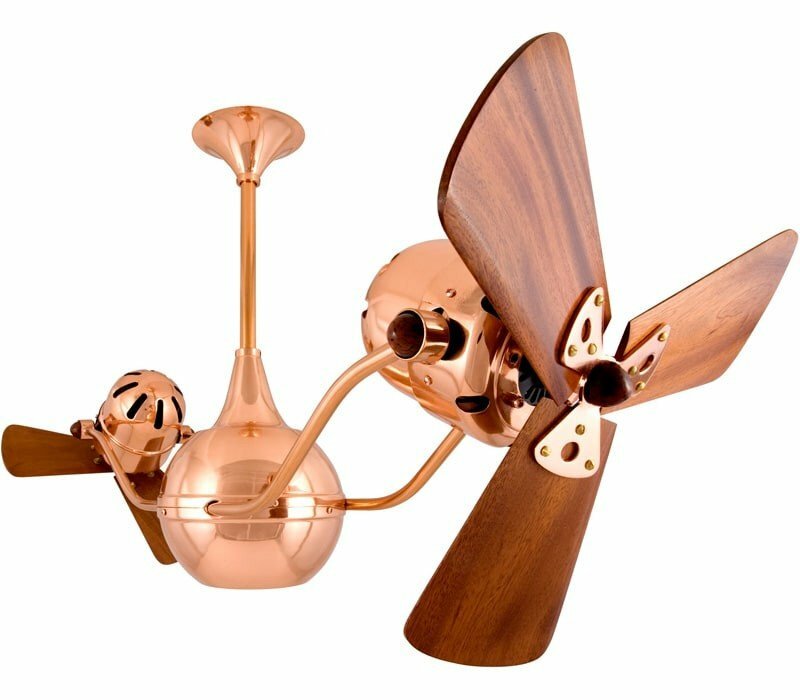 This ceiling fan offers fluid lines and quiet axial rotation. The motor heads can be infinitely positioned in 1 80-degree arcs for optimum air movement; the greater the angles of the motors to the horizontal support rods (up or down), the faster the axial rotation. A slow, controlled axial rotational is achieved by both motor head position and fan blade speed.